State Street Global Advisors' Fearless Girl campaign won Grand Prix prizes in the Outdoor and Glass Lions categories at Cannes today, alongside four more gongs - while Ketchum, New Zealand's Impact PR and Freuds sister agency Proud Robinson also collected gold. Alongside the PR Lions awards ceremony, trophies were also handed out in Cannes today in the Glass Lions, Outdoor Lions, Promo & Activation Lions and Print & Publishing Lions. Fearless Girl, created by Wall Street investment firm State Street alongside creative agency McCann, was tipped to win big by PR experts, and brought home the bacon with its Grand Prix trophies, plus a further Gold Lion in the Outdoor Lions, and two additional Golds and a silver in Promo & Activation. The statue-based campaign was also the big winner in the PR Lions. Click for the full list of PR Lions winners. This year, entrants can credit the agency or agencies that handled PR for the campaign. If the campaign wins a Lion, that agency is deemed a Lion winner. Other agencies being credited for PR work at Cannes today are listed below. Weber Shandwick's #BrutalCut campaign with ActionAid for female genital mutilation (FGM) awareness - which was the only campaign created in the UK to make it onto the shortlist - is one of a total of 11 winners. The agency won a Silver Lion for the work, on which it was the lead creative agency and was assisted by media firm Clear Channel. A Bronze Lion was awarded to The Family Way campaign by Dentsu Y&R of Tokyo for its client Recruit Lifestyle. Recruit Communications and Dentsu Public Relations are credited for PR work on the campaign. A total of 110 Outdoor Lions were presented. The UK's Proud Robinson, which is part-owned by Freud Communications but based in Brighton, picked up a Gold Lion and a Silver Lion for its work with Deutsche Telekom's Magenta Unleashed campaign, led by Saatchi & Saatchi London. PR Pundit of Mumbai was credited for running PR on a Gold-winning campaign for Savlon entitled Healthy Hands Chalk Sticks (below), run by Ogilvy & Mather Mumbai. Edelman Singapore, MSLGroup Hong Kong and Ogilvy PR Singapore were the three PR agencies listed as supporting Heineken's Air-Ink campaign, led by the Sydney office of creative group Marcel. PR agencies credited with work on Silver Lions wins are: London's Blue Rubicon (now Teneo Blue Rubicon) for work on This Girl Can for Sport England with FCB Inferno; Edelman's London office for work with McCann London on a Zombie Christmas campaign for Microsoft Xbox; and MSLGroup in Chicago for PR work on a Mexico Tourism Board's Tequila Campaign by the Chicago office of Lapiz. Credits for PR work on Bronze Lions go to Finn PR of Brussels, Map and Page of Sydney, MSLGroup's Milan office, Cohn & Wolfe's Milanese base and Chicago's Current Marketing. The 102 Promo & Activation Lions awarded include three Gold Lions for 'Bradshaw Stain', a stunt involving Fox commentator Terry Bradshaw appearing with a stain on his shirt in what eventually was revealed as a campaign for laundry product Tide, a P&G brand. The lead agency was Saatchi & Saatchi, but New York PR firms Taylor and MMK also get credit for the win. Ketchum New York is credited as the PR agency on another campaign for P&G which won two Gold Lions. Handle with Care for Gillette was led by P&G and Grey New York. Ketchum San Francisco, alongside LA agency The Marketing Arm, also wins a Gold Lion for its work on the Cheetos Museum for the snack brand, which was led by Goodby Silverstein & Partners, also of San Francisco. Silver Lions for PR work in this category go to: Current Marketing of Chicago, which is credited as the PR agency for a campaign by FCB Chicago for the Illinois Council Against Handgun Violence; Persuasion PR of Gateshead, UK, for work with McCann WorldGroup for client UBrew's Responsibly campaign; and Impact PR of Auckland, New Zealand, which is credited for running PR on Colenso BBDO's The Child Replacement Programme for Mars Pedigree. The agency also won three Gold Lions in Print & Publishing (see below). Bronze Lions for PR work in this category go to: Persuasion PR (as above): Spark PR & Activate of New Zealand, Olson Engage of Chicago, Amsterdam's Het PR Bureau (which won two Bronze Lions), PR Pundit of Mumbai, Golin Chicago, Persuasion Communications of London, Brighton's Proud Robinson, and FleishmanHillard's Chicago office. Auckland's Impact PR picked up three Gold Lions for its work on a campaign for Mars' Pedigree pet food, which was led by creative group Colenso BBDO. Entitled Replace Them, the campaign matched neglected dogs with families whose children had left home. A total of 89 Lions were awarded in this section. 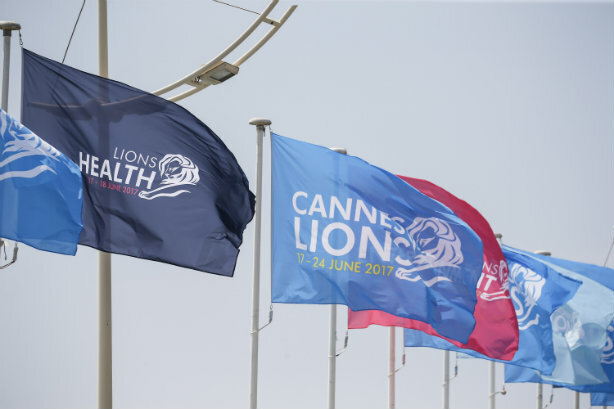 Click for the full list of PR Lions winners - or visit our Cannes 2017 content hub here.